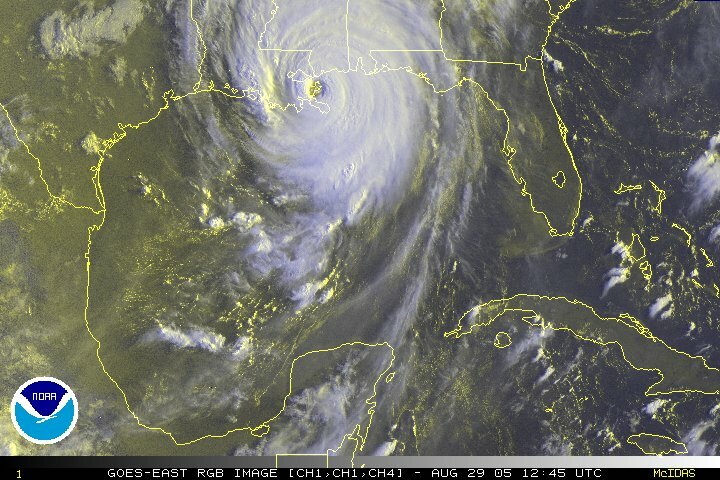 Hurricane Katrina, 02:45Z, August 29, 2005 – About 105 miles south of the mouth of the Mississippi River and about 170 miles south-southeast of New Orleans Louisiana. 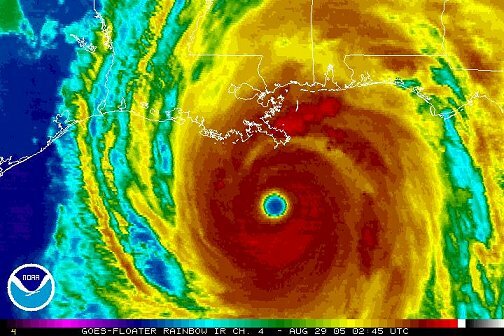 Hurricane Katrina, 12:45Z, August 29, 2005 – About 40 miles southeast of New Orleans Louisiana and about 65 miles southwest of Biloxi Mississippi. National Hurricane Center Tropical Cyclone Report and Advisory Archive. Page updated on August 27, 2015 .